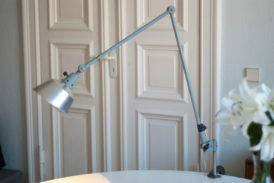 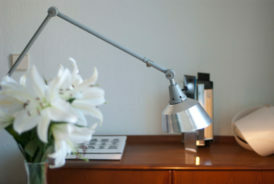 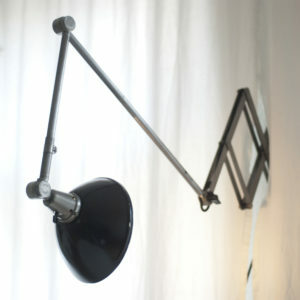 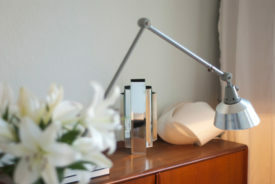 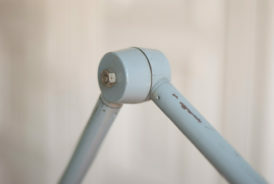 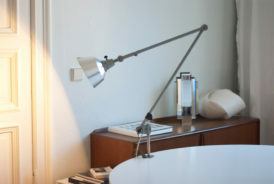 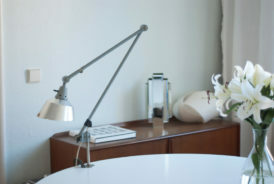 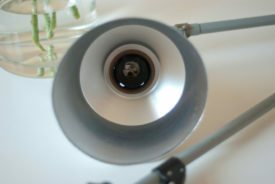 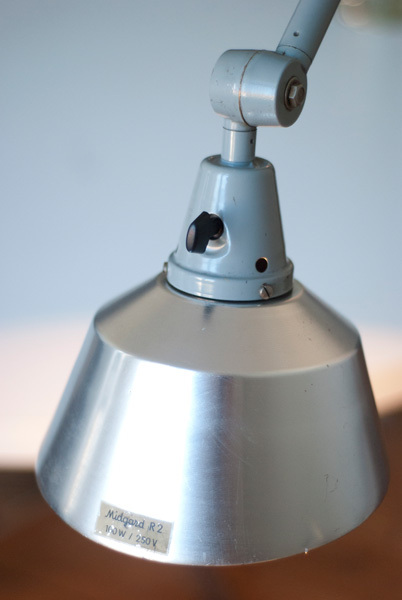 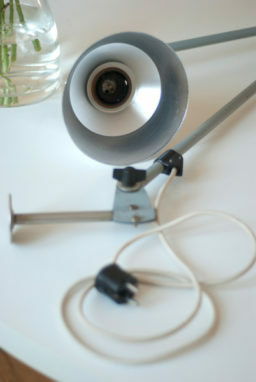 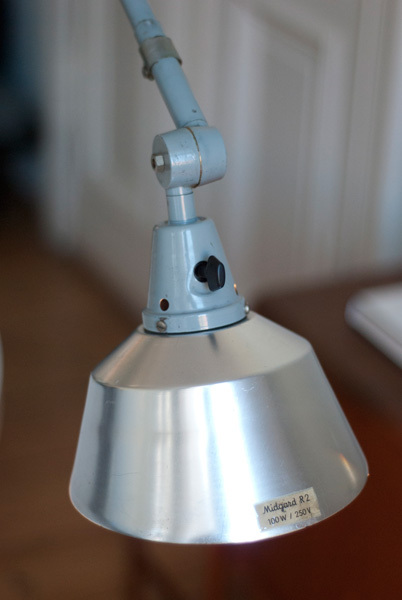 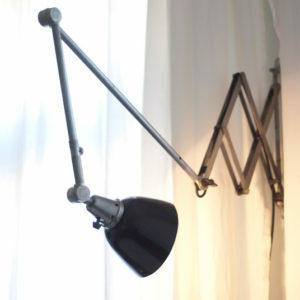 Tall Midgard R2 jointed lamp in original state. 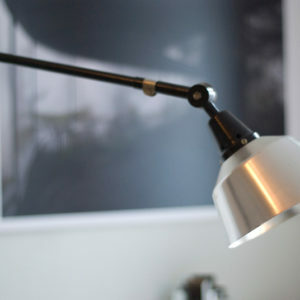 The lamp is engraved with Midgard R2 on the shade. 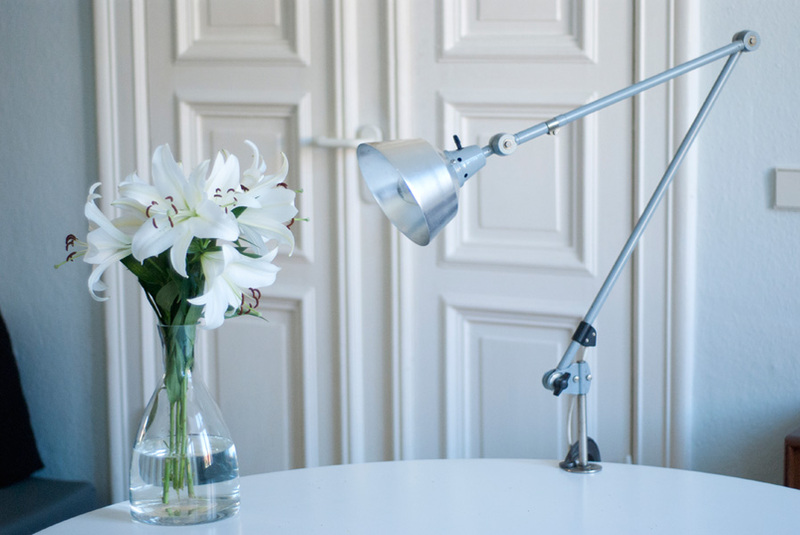 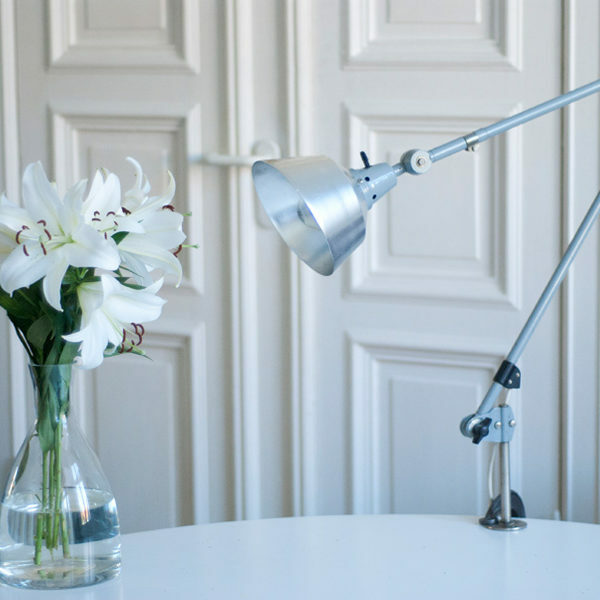 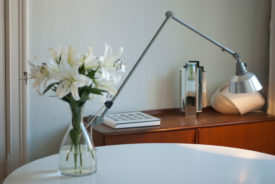 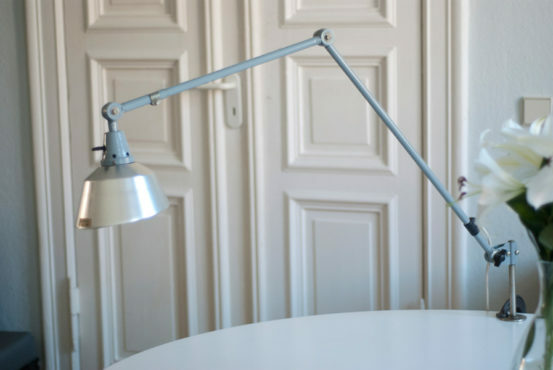 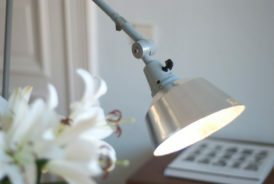 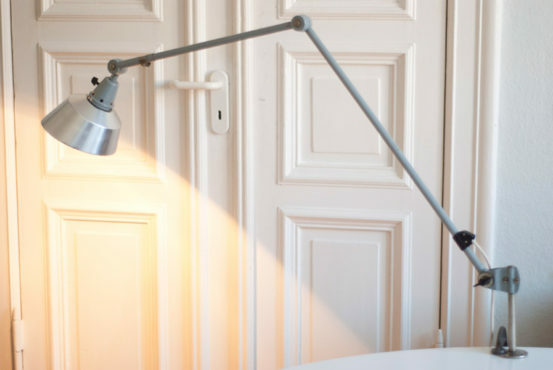 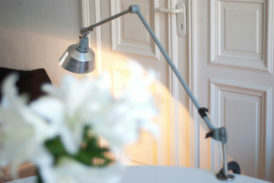 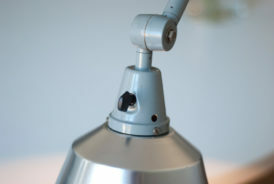 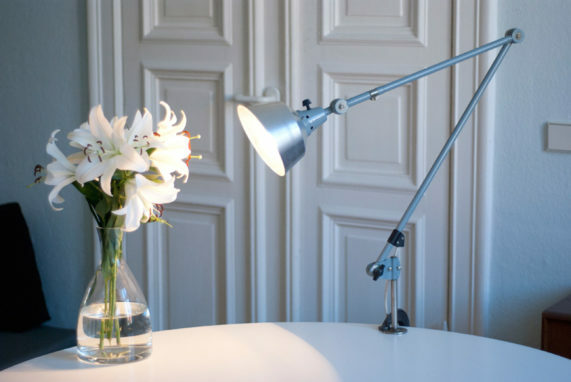 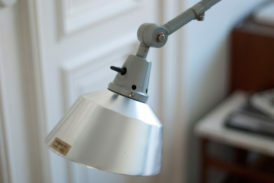 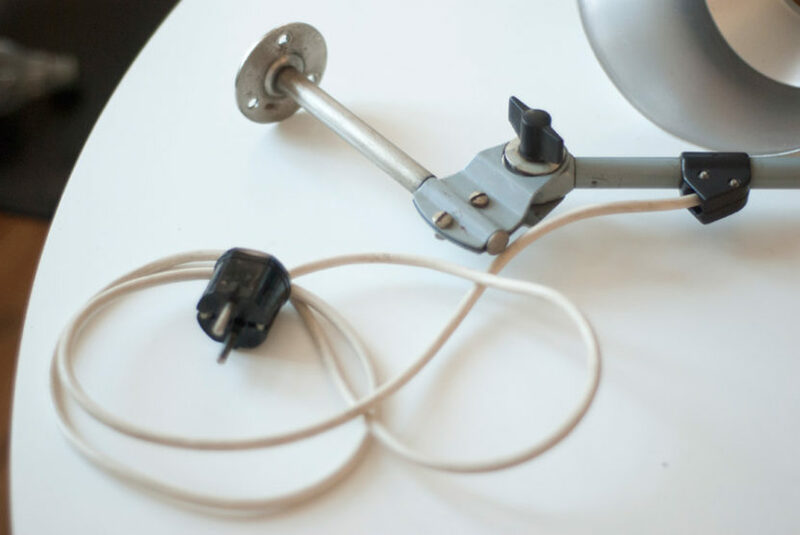 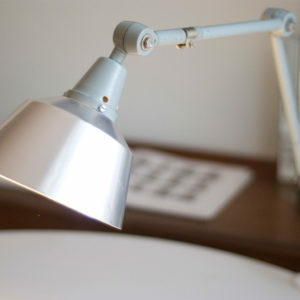 The lamp can be easily attached to the table with the table-mount bracket and screws.